University with a double major in English Lit- (BWMS) business unit. Esther Rothenberger, Accounting ist and editor. 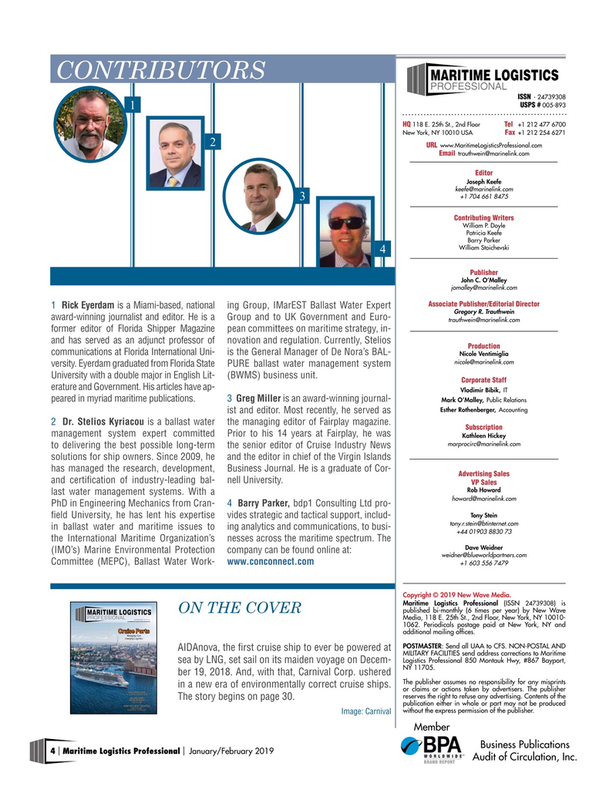 Most recently, he served as 2 Dr. Stelios Kyriacou is a ballast water the managing editor of Fairplay magazine. Advertising Sales and certifcation of industry-leading bal- nell University. Cruise PortsCruise Ports additional mailing offces. The story begins on page 30. INCREASINGLY CUTTING EDGEINCREASINGLY CUTTING EDGE without the express permission of the publisher.